Let’s start with the good. Right off the bat, the fact that there is an agreement in place will vastly reduce all the uncertainty that surrounded President Trump’s previous statements on NAFTA. This will instill some confidence back into the markets and help produce results. Simply having a deal in place is a big win for global commerce. 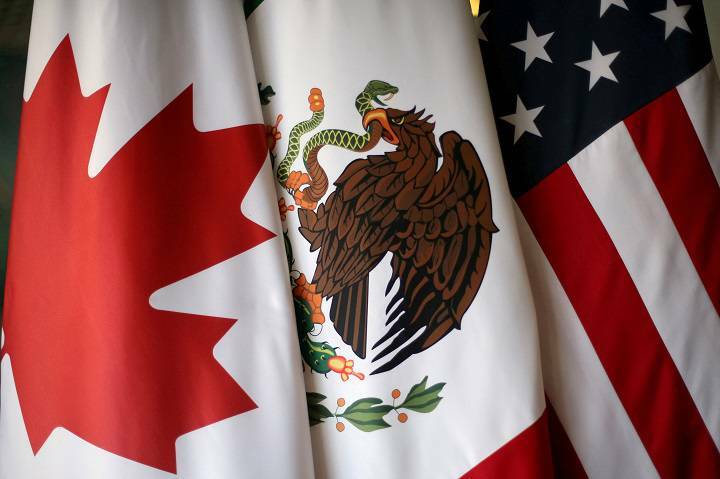 In fact, the vast majority of USMCA is, basically, NAFTA; it’s just under a new name. Another bonus from this trade deal was concessions made by our government, and the Canadian government, with regard to agricultural commodities. The Canadians agreed to an increase, albeit a negligible one, in the amount of dairy products that can enter the country duty-free. The U.S. reciprocated with a negligible increase in the amount of sugar, and other commodities, that can enter the U.S. duty-free. That was a definite victory, but also a slight missed opportunity. While those reforms were good, all three nations had the chance to really cut down on the protectionism that has plagued the agricultural sector for years. These half-measures won’t get us anywhere fast. On the negative side, there is a clear increase in protectionist measures. There is a provision that requires that 75 percent of automobile parts be produced in North America, otherwise that automobile cannot enter duty-free. Not only are the costs of auto parts already rising due to President Trump’s trade dispute with China, they will now rise even further due to the requirement that manufacturers use more expensive domestic parts that could have been imported more cheaply. There is also a measure that would require that a good portion of auto parts be made by workers who make at least $16 per hour. This amounts to the U.S. imposing a minimum wage requirement for the auto industry on all of North America. The Trump administration is going above and beyond even the most bold leftist demands. Lastly, the deal effectively prohibits the signers from negotiating a deal with China. Under the agreement, if one of the nations starts negotiating a separate free trade agreement with a non-market country, of which China is one, the other two can pull out of the deal and enter into a bilateral deal without the country that had the nerve to so much as talk to the Chinese. This limits the sovereignty of other nations, and isolating an emerging nation like China, that produces so much will have dire consequences for the global economy. Hopefully, this is only a first step in trying to eliminate trade barriers around the world, but the negative aspects of this deal should be walked back as soon as possible, and the positive ones expanded upon. As for this deal, President Trump must now notify Congress on what legislative changes must be made in order to implement the agreement. Congress will then draft that legislation and both chambers must pass it in order for the USMCA to go into effect. The U.S. International Trade Commission also has to complete a review of the deal’s economic impact. There is more to this deal than what meets the eye. The negative aspects of this deal should be walked back as soon as possible. I don't see the same as you see. Many countries set up trade barriers while exploiting NAFTA loophole, which they used as a backdoor to US market. Now this loophole is closed in USMCA and is a big win for US. Regardless of what our ideal world is, if the participating parties don't play by the rule while we insist to play by the rule regardless of what others do, we are simply stupid. And those other countries just see us a dummy uncle Sam and gladly take advantage of us.